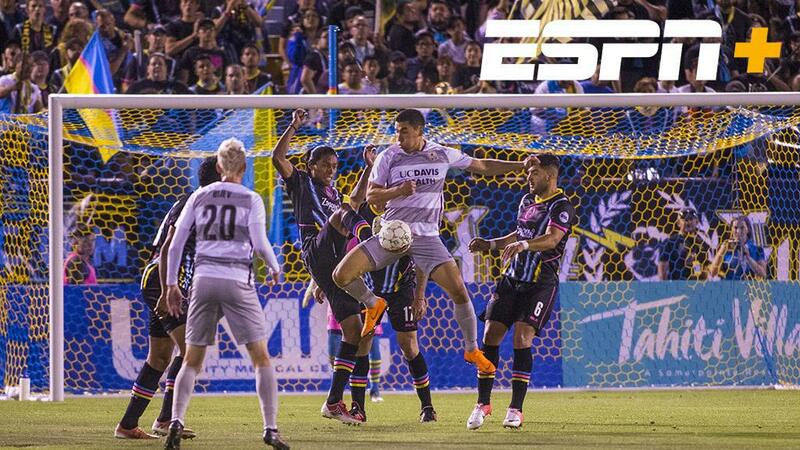 TAMPA, Fla. – With much fanfare, the USL on ESPN+ made a successful debut this weekend and provided the league’s regular season weekend matches with a new level of prominence, while delivering a heightened quality of production for soccer fans across the United States. The action kicked off with Saturday afternoon’s heated clash between Indy Eleven and Nashville SC at Lucas Oil Stadium – a game that included a standout finish by Indy’s Soony Saad that featured on ESPN’s SportsCenter Top 10 later that day. Culminating in Sunday afternoon’s meeting between Bethlehem Steel FC and FC Cincinnati, the weekend’s broadcasts went smoothly, allowing fans to enjoy all the action on the new platform. This, friends, is the new @MLS and @USL viewing experience in the ESPN app. This is what so many of us have been waiting so long for. The successful opening weekend of games on ESPN+ was supplemented by Monday’s news that Roku devices had been added to the list of options to access the new platform. Fans can also still sign up for a free 30-day trial of ESPN+ through Wednesday, April 18, offering the chance to try the new service that includes live sporting action from around the world and original ESPN programming exclusive to the new platform.